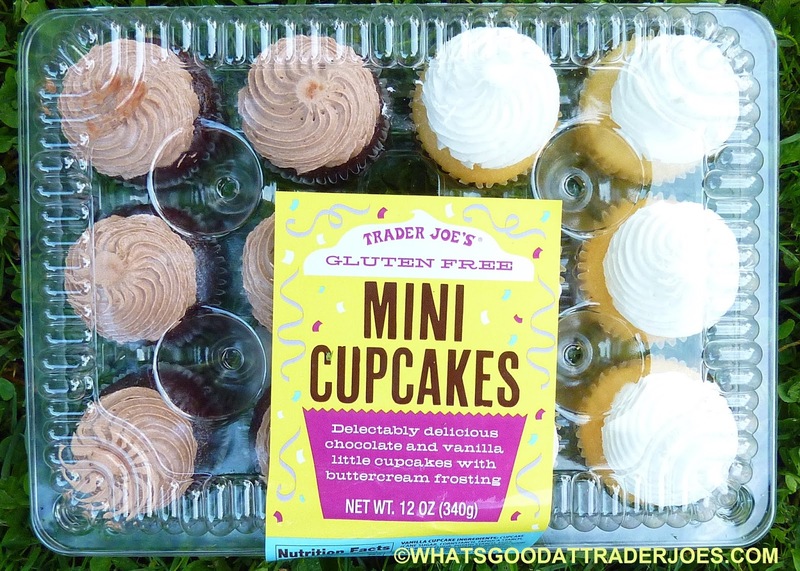 We've already seen TJ's knock gluten-free cupcakes out of the park. And this review is here to confirm that, yes, they've absolutely done it again. 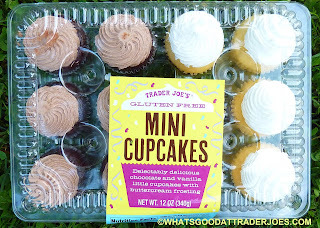 In fact, I know they have other varieties of GF cupcakes, and I've never heard anyone complain about them at all. Ever. I read an article not long ago that scientists have found a way to make better gluten free flour. I'm wondering if these cupcakes are the result of said scientific breakthrough. Because I didn't miss the gluten at all. Maybe we just got a super-freshly-baked batch, but if anything, the bread part of the cupcake was more moist and more delicious than a normal cupcake. The frosting was on point, as well. Sonia absolutely raved about it. 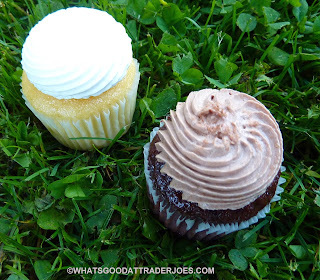 It was slightly more in the direction of traditional frosting than the frosting on the Buttercream Cupcakes we linked to in the first paragraph. But this stuff wasn't stiff like cupcakes from a traditional grocery store bakery. It felt and tasted fluffy and whipped, with a really nice sweet, creamy flavor. As has been the case with a few TJ's products in the past, I was significantly more enamored with the vanilla flavor than I was with the chocolate, although the chocolate was nothing to complain about. I'm not a vanilla supremacist. I swear. I just really want sweetness without as much richness sometimes. Two thumbs up from Sonia and I. Double fours. If you're interested in the nutrition facts, just click here. They should do a gluten free birthday sheet cake! Also it does need some sprinkles to give some color. Excellent ideas as usual, my friend! Price? Always on hand? Can I purchase and freeze for party?